The cornerstone of the American justice system: Innocent until proven guilty. According to Wikipedia: sometimes referred to by the Latin expression Ei incumbit probatio qui dicit, non qui negat (the burden of proof lies with who declares, not who denies). I like the first part of that Latin expression and suggest that what is truly needed in nutritional circles is to put the burden of proof on those making claims. My point here is not a political one, it is not to argue the merits of my country's justice system or its implementation, or anything of the sort. It is to put forth a suggestion -- that ALL who demonize foods be tasked with proving their charges. I suggest this because it is darned near impossible to do the opposite especially in the face of baseless charges. It is a bit of a stretch, but keep in mind that many of the compounds, such as water, can be toxic at some level of ingestion. Furthermore, some of the chemical and/or physical properties of many innocuous compounds found in foods can seem quite daunting when taken out of context. This is an obvious spoof, but hopefully it makes a point. Now, the vegans and vegetarians and raw and fruitarian crowds are all just as guilty of this, but since I've never been even remotely a part of any of those communities, I'll leave it to someone else to call out their hyperbole, scaremongering and outright disinformation. I'm also not talking about new non-foods such as artificial sweeteners, chemically modified foods (e.g. hydrogenated fats), non-food chemicals such as preservatives and I'll even throw in GM in with substances that should be considered unsafe until proven otherwise. These are terms bantied about far too flippantly in this community. 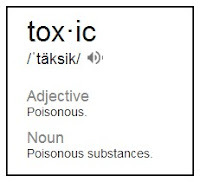 Things like arsenic, hemlock, mercury and cyanide are toxins and have toxic effects. In other words, they will kill you, and if they don't they will cause severe harm. There was a common meme circulating around the LC web when I found it -- that carbs were like rat poison. Seriously? All molecules not characterized as a protein or fat are the equivalent of rat poison? Yeah, yeah ... I get it. It's a bit of poetic license and all of that. But it is irresponsible fear-mongering nonetheless. So for this Part I, let's address the topic of the supposed toxicity of carbohydrates in general. One of the biggest fear mongers around in this arena is Dr. Ron Rosedale who has repeatedly asserted that glucose IS toxic at any level. The general idea, embraced by what I would call the "teaspoon crowd", is that we have around one teaspoon of glucose in circulation at any given time which amounts to about 5 g glucose. Thus eating carbs effectively injects a ton of glucose into our blood and because this is toxic, the body must remove it as quickly as possible. This metabolic response to glucose ingestion -- to remove it from circulation and maintain relatively constant circulating levels -- is touted as evidence of glucose's toxic nature. The mechanism by which glucose exacts its toxic effects is purportedly glycation -- the process whereby glucose reacts with proteins (e.g. cellular components, enzymes, etc.) and alters their function. I'll discuss glycation at some future point, but for now let's look at the logic of the "if the body needs to clear it, it must be toxic" rationale. It seems misguided at best. In doing so, "energy delivery" (Joules or calories) in the postabsorptive (aka fasted state) is roughly 1/3 glucose and 2/3rds NEFA (Westerners are fat burners!) For a 65 kg person, Frayn estimates the turnover rates of glucose = 130 and NEFA = 112 mg/min. This would mean that 0.13/4.5 = 0.029 or roughly 3% of glucose is turning over per minute, while 0.112/0.7 = 0.16 or 16% of NEFA is turning over per minute! Looking at that another way, NEFA is turning over more than 5 times as fast as the glucose. The body works very hard to keep circulating NEFA levels to within a very narrow range amounting to less than 3/4 of a gram. Cellular need for NEFA for energy is high in the fasted state so turnover is very rapid. NEFA in circulation is much less than dietary influx so that fatty acids must be transported in lipoprotein "vehicles" and efficiently cleared from circulation once liberated from those lipoproteins. Therefore, the "supporting evidence" for glucose toxicity that is based on the fact that our bodies work to rapidly remove it from circulation would make an even stronger case for NEFA toxicity. The earliest signs of metabolic dysregulation are (1) reduced triglyceride clearance and/or (2) failure to suppress NEFA release in the obese, and hyperglycemia is an end run manifestation of dysregulation. If we are going to look at dietary agents contributing to any possible toxic effects, fat must be viewed at least as skeptically as dietary carb. Further, on the flip-side, our bodies do go to extraordinary efforts to maintain a minimum glucose level by synthesizing glucose -- gluconeogenesis. The only thing we synthesize in the fasted state vis a vis fat metabolism is glycerol-3-P -- glyceroneogenesis -- the purpose of which is to "fix" the fat in the fat cells and limit NEFA release. When aboriginal cultures become "contaminated" by so-called Western foods, it is with higher and different fat content in the diet moreso than carbs. Yes, generally carbohydrate quality tends to shift from whole food types to refined flours and such, but often we are talking tripling the fat content of the diet. Such is certainly the case in Gary Taubes' favorite poster population for obesity - the Pima of Arizona. Highest blood sugar level Twelve-year-old Michael Dougherty (USA) had a blood sugar level 19 times above average at 2,350 while still conscious on November 21, 1995. Textbook of Medical Physiology 11th Ed. I've personally known T1's who have had BG's over 500 that "feel" normal and had no adverse immediately life threatening reaction. What kills diabetics? Ketoacidosis. Yeah, yeah, not to be confused with ketosis, nutritional or otherwise. But again let's look at what happens when you depancreatize a dog. The control on fatty acids disappears almost immediately and the levels rise. The high NEFA levels cause ketone production to increase. Note that while hyperglycemia develops, it is leveling off, while ketone levels (acetoacetic acid) are increasing exponentially. Per the text: "in severe diabetes the acetoacetic acid and the b-hydroxybutyric acid can cause severe acidosis and coma, which often leads to death." Luckily most of us have sufficient basal insulin production so that ketoacidosis is not an issue. But, acetone is one of the ketones produced, and yes, acetone is toxic for human beings to ingest. All foods -- both types and constituents -- should be considered innocent until proven guilty to cause harm. 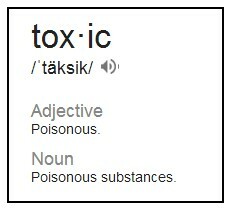 This is not carte blanche to eat a boatload of every type of food you can get a hand on, but it is important to not attach the label "toxic" where it is inappropriate. The characterization of glucose as toxic based on the premise of how hard our bodies work to remove it from circulation would make fats more toxic by the same logic. What about the argument that it shortens your telomeres? I once observed my telomeres with a magnifying glass after consuming a Snickers bar and watched them get shorter right before my very eyes. Now I feel self-conscious when I get undressed in the locker room at the gym. No matter how often people pay lip-service to the maxim, it's always useful to remind ourselves that "the poison is in the dose". At bottom, everything we ingest can be deleterious to us if consumed in high enough quantities; even the very same things that are essential for life - water, salts, vitamins, minerals etc. As such, I think the default stance should be a precautionary principle; namely, to be wary of any dietary approach that prescribes abnormally high quantities of any particular food or nutrient. One of the great advantages of being an omnivore is that we can "spread the risk" by diversifying our food investments (apologies for belabouring the investment analogy! )...this not only limits our exposure to any one potentially toxic substance, but also promotes the ingestion of a wide range of essential nutrients, thus avoiding the potential for nutrient deficiencies. Boring as it may seem, perhaps the standard advice to "eat a varied, well-balanced diet" is not so bad after all! I very much look forward to your post on the alleged toxicity of sugar! Thank you for your continued work. There's only a few nutter left who claim all carbs are toxic. However, I'm kind of disgusted by people not only calling grains and legumes "toxic", but by the fear mongering they direct at people who eat these foods and are in perfect health. Saying things like "you might feel good now but they are slowly killing yourself and it will catch up". That and the recommendations of unlimited meat and saturated fat for everyone, even when they have nightmarish cholesterol levels, are the 2 most harmful aspects of "paleo". Recently a blogger wrote a sensible piece on why paleo wasn't for her after trying it for a very short time. The response from some paleos was horrible but the worst of it was that she hadn't restricted all of these bad foods long enough to realize she had sensitivities to them. ""One of the great advantages of being an omnivore is that we can "spread the risk" by diversifying our food investments...this not only limits our exposure to any one potentially toxic substance, but also promotes the ingestion of a wide range of essential nutrients, thus avoiding the potential for nutrient deficiencies." YES!! Meanwhile Mr. Butter Coffee is on the Ketanic claiming we can't get all of our nutrients from food. We'd need to eat 27,000 calories or something like that. Huh?! OK, I'm going to try posting this delightful image that I somehow encountered for the first time only this week, and is apropos here. Hello every one, here every one is sharing these kinds of know-how, thus it's good to read this weblog, and I used to pay a visit this weblog everyday. Love me some Keanu memes! I just read the article in the JISSN that generated that 27 000 calorie number (here's a link to the free full text: http://www.ncbi.nlm.nih.gov/pmc/articles/PMC2905334/). In an astonishing coincidence, it's authored by a chap that is the CEO of "Calton Nutrition, a private corporation that researches the causation and prevalence of micronutrient deficiency worldwide. Due to the results of its research Calton Nutrition is in the process of developing a multivitamin". Setting aside the monetary motive issues, and assuming the facts of the case are as presented (i.e. that RDI sufficiency for micronutrients cannot be met by well-balanced diets) I would argue the reverse of the author's stance. Where he argues that this insufficiency implies the need for supplementation, I would argue that it clearly implies the need for revision of the RDI numbers! Given we know that people can and do thrive on a range of diets that feature well-balanced spreads of nutrients transported through mostly whole foods, the onus is on the FDA to justify its RDI numbers (if their numbers show that such health-supporting diets are 'insufficient'), not on us poor folk to start chugging multi-vitamins by the boatload for fear of dying of malnutrition! That figure probably comes from this paper by Jayson Calton (I know, red flags already). I doubt it was peer reviewed because a quick skim over it and I found a mistake and a correlation doesn't equal causation. The amount of nutrients is lower than I expected because at 2000 calories a diet recommended by the guidelines meets almost all the RDIs (except choline). a) No one seriously claims that elevated glucose has immediate toxic effects. However it is indisputable that chronically elevated glucose causes serious problems. b) Diabetic ketoacidosis kills by increasing ACIDITY which overwhelms the bicarbonate buffering system (not by elevating hydroxybutyrate and acetone). From a pathophysiology viewpoint ketoacidosis and dietary ketosis are essentially unrelated phenomena. c) Virtually all mammals are actually "low carbers" obtaining 60-80% of their calories from fats - either by consumption and/or gut fermentation. What is disingenuous is repeating point (c) as short chain fatty acids are not biochemically/metabolically fats. I can't BELIEVE anyone still uses this kind of "argument". DIET means what goes IN THE MOUTH. but fine if you go that route why not go all the way ... ZERO energy is from fat or carbohydrate, it's all ATP. What we actually need is to walk around with multiple IV bags full of ATP solutions pumping ATP into our blood. The only gossip I have is that the boat is light one very important speaker .... and nobody is talking about that, which is rather interesting considering someone's solemn word was apparently broken. There is very sporadic activity on #LCCruise13 hashtag on Twitter. This is unfortunately a major rationale for Jaminet's Perfect Health Diet. When I first read PHD (late2010-early2011) I glossed over this as it didn't seem to be a major point at that time. Paul's lumping together of all non-long chain FAs under the term "short chain" was a bit more disconcerting. However in the new PHD he reiterates this basis and has expanded upon that in blogging/interviews/talks, etc. It seems to be one of the aspects of his diet Paul describes as novel. Even if his macronutrient conversion principles were true (oddly enough they are least likely to hold for humans and other omnivores), this logic is convoluted. Assuming they are, and all mammals "eat" a "high fat" diet -- thus consuming one should be "perfect" for human health -- this would mean that PHD should also be "perfect" for my cat, my neighbor's dog, Babe the pig, Orb the Kentucky Derby winner, and all these cattle we are foolishly feeding grass or (gasp) grain. More curious is why he followed me on Twitter yesterday! Strange indeed. If you eat 60-80% of your calories from protein, you don't eat much. Try to do this by actually measuring your food and putting it in a tracker that calculates percentages of macronutrients (fitday does this handily). It's difficult to get to 30% protein without feeling like you can't eat any more. This makes me wonder how burly mountain gorillas can even do it! I may be able to get that 60% protein target in a day, with very careful planning, but I don't think it's sustainable. Who even measures and calculates their macronutrients using an online tool like fitday? I have been doing this for quite a long time! At the very least, I imagine that female 'burly' mountain gorillas don't resemble female humans when it comes to muscle mass and strength. Mountain gorillas may be 'close cousins,' but my female cousins aren't like that. Did you mix those macros up there? 60-80% fat, not protein! Whoa, yeah. What was I thinking. With EasyHits4U you can earn free advertising credits by visiting other ads from a member base of over 1.2 million accounts. Earn advertising credits faster with a view per view model.